For anyone who organizes and advocates for worker justice, the last months of 2016 felt like an unmitigated disaster. But even as we begin 2017 facing grave uncertainty about the future for working people, we should not forget the accomplishments of the past year. In fact, it is even more important to celebrate them and take the lessons about successful organizing that we can. In the Interfaith Worker Justice affiliate network, worker centers and faith and labor groups have moved a number of campaigns to improve the lives of working people. 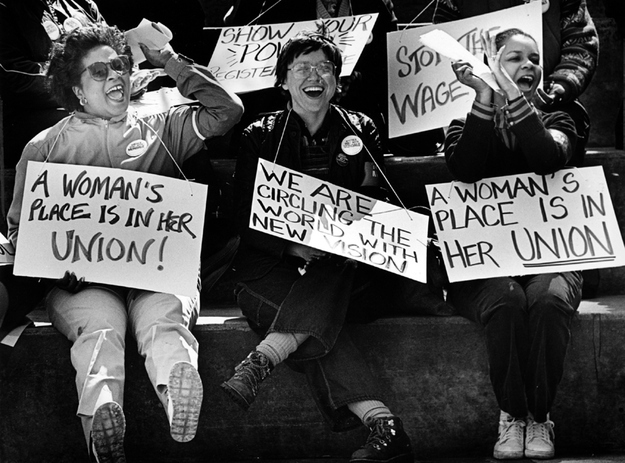 Throughout the year, worker centers in Arkansas, North Carolina, and Minnesota were—and continue to be—part of a national coalition of worker-led campaigns to bring justice to the poultry processing industry by improving safety on the job and ensuring that working people have the most basic dignities, like the right to use the bathroom. During the National Wage Theft Day of Action, worker centers nationwide recovered thousands of dollars in stolen wages and exposed unscrupulous employers who have committed wage theft. In October 2016, retail janitors who were organizing with the Centro de Trabajadores Unidos en Lucha (CTUL), a Minneapolis-based worker center, won a three-year campaign for the right to collectively bargain for a fair contract for janitors who clean at Target, Macy's, and Best Buy stores. After exposing modern-day slavery in Florida’s tomato fields, the Coalition for Immokalee Workers (CIW) organized a nationwide boycott of Wendy's, the only major fast-food corporation that has not signed on to the Fair Food Program, choosing instead to move its sourcing of tomatoes to Mexico, where it can continue abusing working people with impunity. The broader labor movement saw significant victories in 2016, as well. After years of powerful organizing, the Fight For $15 and its allies can celebrate the 19 states and 22 cities and counties where the minimum wage went up as the clock struck midnight on Jan. 1. Unions everywhere were relieved when the Supreme Court split over Friedrichs v. California Teachers Association, a non-decision that prevented what might have been the start of national “right to work” legislation for working people in the public sector. And while a court has issued an injunction against President Obama’s executive order that would have given thousands of working people access to overtime pay, many large corporations are keeping intact the raises they gave to their employees in anticipation of the overtime expansion becoming law, despite the fact that the incoming administration will likely kill the rule. While 2017 and beyond will surely be a difficult time, these victories and the organizing that brought such successes are what fuels us as we continue to fight for worker justice. Of course, the challenges that face worker justice advocates are very real and must be met with urgency in our organizing. The selection of fast-food CEO Andrew Puzder as Labor Secretary by the president-elect is a discouraging development. Puzder has spoken out in opposition to raising the minimum wage and in favor of replacing working people with robots. He opposes the Affordable Care Act and regulations that make workplaces safer. Restaurants in the fast-food empire that Puzder oversees have been accused of wage theft again and again. Nevertheless, worker justice advocates are prepared to do whatever we can to find common ground with Puzder that will improve the lives of working people everywhere. We will continue to work to maintain productive working relationships with regional Department of Labor Wage and Hour Division outreach specialists to ensure working people can count on the federal government to help recover wages when tey have been the victim of wage theft. We also recognize that support of local and state-based organizing across the country will be crucial. Indeed, given a new generation of young activists being called to serve, the dynamic organizing in worker centers, faith-labor coalitions, and unions nationwide, and the fact that worker justice issues are consistently supported by a large majority of Americans in every state, there is much to be hopeful about. But we must stay focused on what is moral and just and to remember that love and the power of people organizing can overcome even the darkest times that are surely ahead. Laura Barrett is the executive director Interfaith Worker Justice.